Die-Versions are designed to be compatible with virtually all personal use die cutting machines (may require adaptors or shims depending on your machine). 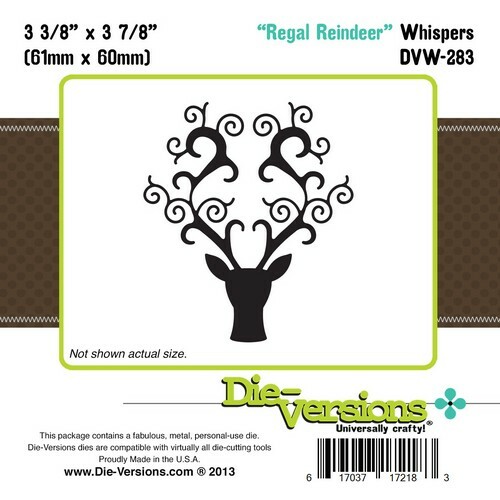 This "Regal Reindeer" is approximately 9cm by 10cm and is a great Christmas emblem for use on cards, tags and home crafts. Very effective die especially using black on silver. Although a filigree die it cuts very cleanly. Excellent product.